Beginning June 1, Canadian passport holders travelling to the United Arab Emirates (UAE) will no longer require visas in advance, the Embassy of the United Arab Emirates in Ottawa announced on Tuesday. Canadian passports holders will now be granted entry free of charge to the UAE with the visit arrival stamp. No application in advance of travel will be necessary and Canadians passports will be stamped for 30 days upon arrival. In January of 2011, the UAE began charging Canadians $660 for a six-month multiple entrance visa, while a single-entry, 60-day visa cost $330 and a single-entry, 30-day visa cost $165. The announcement out of Ottawa marks the end of a diplomatic disagreements between Canada and the UAE, which began over Canadian landing rights for UAE-based airlines. The diplomatic posturing between the two nations eventually lead to the closing of a Canadian forces base near Dubai and the necessity of entry visas for visiting Canadians. Canadian Foreign Affairs Minister John Baird said that the move signaled that bilateral relations between the two countries are getting stronger. For its part, UAE-based Emirates airline said it was happy with the decision. "Emirates welcomes the relaxation of visa restrictions for Canadians travelling to the UAE... Emirates hometown, Dubai, remains a top business and leisure destination for Canadians and Emirates hopes this change in visa policy signals positive future cooperation between the two nations," the airline said in a statement following the announcement. The Canadian travel industry has also welcomed the announcement, as it facilitates travel to a destination that continues to grow in popularity. "It created hassles," explained Robert Zuzek, president of Kompas Express, which offers travel packages to the UAE. "This is over and it's good because now we can finally sell our packages freely without the caveat of the visa." Zuzek said Kompas Express believes Dubai will be one of the top tourism destinations in the world by 2020 and the waving of the visa requirement will allow Canadians to more easily access the growing destination. Praveen Syal, president, Indus Travels, which has been working with the Abu Dhabi Culture and Tourism Authority as it makes in roads into the Canadian market, told THN that also he views the announcement as a positive step. "Both Dubai and Abu Dhabi are becoming centres for trade, finance and definitely tourism," he said. "We have been having a huge interest in Dubai & Abu Dhabi as a leisure destination and I am sure with relaxed visa regime it will help in creating more opportunities for us." 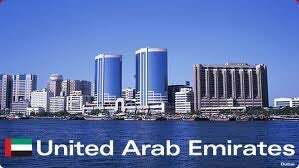 Visitors from most European countries, Australia and the U.S. do not require visas to enter the UAE.